Ottawa – This weekend, Ottawa residents and visitors have their annual opportunity to explore a side of Ottawa that is rarely available to the public. 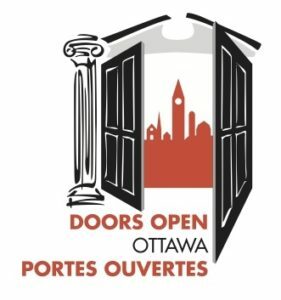 It’s Doors Open Ottawa 2018 and once again there is something for everyone. Doors Open visitors are invited to share their experiences on Instagram in a photo contest, and to download the free app to help navigate their way through the weekend. For more information, including the full list of participating buildings, visit ottawa.ca/doorsopen. Once again, there will be a free accessible OC Transpo shuttle bus sponsored by the Ottawa Citizen. Nearly 50 participating buildings can be accessed from eight stops along the shuttle loop, giving everyone a wide choice of amazing facilities that can be reached quickly without a vehicle.